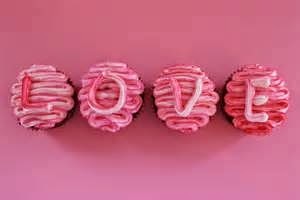 Here in the U.S. customary Valentine's Day gifts generally include flowers, chocolates, perhaps a stuffed teddy bear, balloons bouquets, greeting cards, jewelry, and/or a nice dinner out. But what about other countries? Do they also celebrate The Day Of Love? Not in Russia, Iran, North Korea, Malaysia or Saudi Arabia...it smacks of western culture and is banned. However, SINGAPORE loves Valentine's Day. Per capita, they outspend the rest of the world when trying to show their affection. In DENMARK, Valentine's Day is taken quite seriously, in fact, many people take the day off work! Men in the PHILLIPINES send more roses than any other nationality on 'araw ng mya puso'-- Hearts Day. In JAPAN, women give men chocolates, and men have a 'reply day' where they send white chocolates to those women if the affections are returned. Oddly enough, in TAIWAN they do the opposite, with women sending white chocolate and receiving dark or milk chocolate in return. MEXICO (and many other Latin American countries) include their friends in Valentine's Celebrations. "Dia del amor y la amistad" translates to 'day of love and friendship. Celebrations in ITALY go the opposite direction. Married people do not celebrate...the day is for lovers only. Married folks, insert your own joke here. SOUTH KOREA celebrates on February 14th, but the 14th of every month are considered 'days of love'! ISRAEL's Tu B'Av, or 'festival of love' is on August 15th as a day to either proclaim one's affections, or to propose marriage. Why Are Roses So Expensive in February?